Asiad Steels is one of the known manufacturers of ASTM A453 Stainless Steel GR 660 CLASS A STUDBOLTS, which has some excellent features to offer such as Rugged structure, Rust proof, Long working life, High performance, Excellent finish, Low maintenance and more. Keeping the diverse requirements of customers in mind, we are instrumental in providing ASTM A453 GR 660 CLASS A Threaded Rods. High quality of raw materials is used in manufacturing these ASTM A453 GR 660 CLASS A Threaded Bars. Meanwhile, the range of ASTM A453 GR 660 CLASS A Tie Rods is widely accredited for its outstanding characterizations like sturdiness, accurate dimensions, corrosion resistance and longer service life. ASTM A453 GR 660 CLASS A Tie Bars is originally created to combat corrosion problems caused by chloride-bearing cooling waters and other aggressive chemical process fluids. ASTM A453 GR 660 CLASS A Double Ended Studs is excellent in a range of atmospheric environments and many corrosive media. 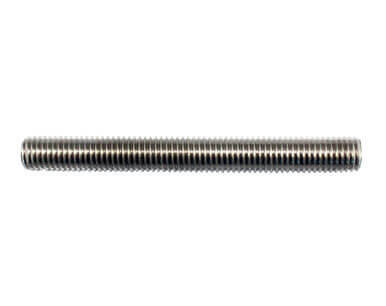 ASME SA 453 Stainless Steel GR 660 CLASS A Threaded Rods also provide some other great features such as Rugged in construction, Corrosion resistant, Longer functional life, Accurate dimensions, Superior finish, Durability, Reliable, Rugged design, Sturdy body, Various sizes, Easy to fix and more. Offered ASME SA 453 Stainless Steel GR 660 CLASS A Tie Barsfind wide usage in fencing, defense equipment, and aerospace industry. To suffice the variegated requirements of our wide client base, we offer these ASME SA 453 Stainless Steel GR 660 CLASS A Double Ended Studs in distinguished sizes, thicknesses and dimensions. 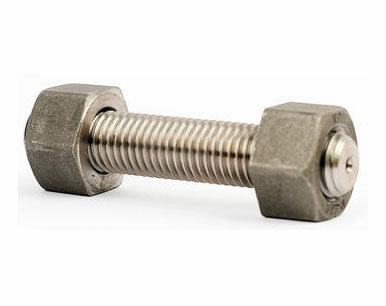 Buy Stainless Steel Stud Bolts at best possible rates in the market. We are Exporter of ASTM A 453 GR 660 Class A Studbolts in Worldwide Such as India, Hungary, Afghanistan, Ukraine, Lebanon, Bolivia, Chile, Iraq, Nepal, Malaysia, Denmark, Portugal, Pakistan, United Kingdom, Mexico, United States, Kenya, Germany, Macau, Philippines, United Arab Emirates, Peru, Brazil, Czech Republic, Norway, Israel, South Africa, Qatar, Mexico, Costa Rica, Japan, Poland, Gabon, Netherlands, Russia, Romania, Jordan, South Korea, Estonia, Thailand, Saudi Arabia, Indonesia, Canada, Greece, Morocco, Bhutan, Sweden, Argentina, Italy, India, Slovakia, Egypt, Bulgaria, Lithuania, Bahrain, Spain, Iran, Finland, Gambia, Nigeria, Switzerland, Belgium, Nigeria, Ireland, Angola, China, Turkey, Chile, Namibia, Ecuador, Venezuela, Tibet, Bangladesh, Ghana, Azerbaijan, Austria, France, Serbia, Trinidad & Tobago,Tunisia, Belarus, Mongolia, Poland, Libya, Australia, Singapore, Kazakhstan, Colombia, Algeria, Oman, Kuwait, New Zealand, Taiwan, Yemen, Hong Kong, Sri Lanka, Puerto Rico, Croatia, Zimbabwe, Vietnam, Iran. 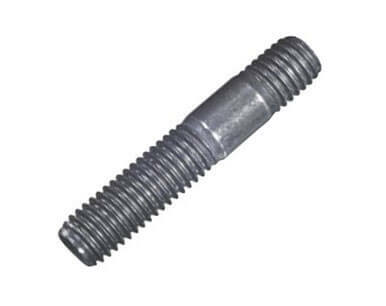 We are Suppliers of ASTM A 453 GR 660 Class A Studbolt in India Such as Mumbai, Geoje-si, Chandigarh, Sydney, Ankara, Doha, Algiers, Al Jubail, Perth, Petaling Jaya, Dubai, New Delhi, Montreal, Singapore, Chennai, Faridabad, Ernakulam, Melbourne, Mumbai, Dallas, Bengaluru, Bogota, Rio de Janeiro, Visakhapatnam, La Victoria, Navi Mumbai, Aberdeen, Secunderabad, Noida, Indore, Kuala Lumpur, Lahore, London, Pimpri-Chinchwad, Surat, Istanbul, Atyrau, Houston, Jeddah, Lagos, Toronto, Santiago, Bangkok, Haryana, Manama, Gurgaon, Thane, Seoul, Hong Kong, Kuwait City, Abu Dhabi, Colombo, Ulsan, Busan, Chiyoda, Moscow, Vadodara, Port-of-Spain, Gimhae-si, Madrid, Karachi, Milan, Granada, Kolkata, Cairo, Al Khobar, Ho Chi Minh City, Thiruvananthapuram, Ahvaz, Hyderabad, Nagpur, Baroda, Ahmedabad, Calgary, Bhopal, New York, Sharjah, Jamshedpur, Hanoi, Howrah, Nashik, Kanpur, Ludhiana, Caracas, Tehran, Edmonton, Brisbane, Pune, Los Angeles, Courbevoie, Rajkot, Riyadh, Vung Tau, Jaipur, Muscat, Dammam, Coimbatore, Jakarta, Mexico City, Ranchi.